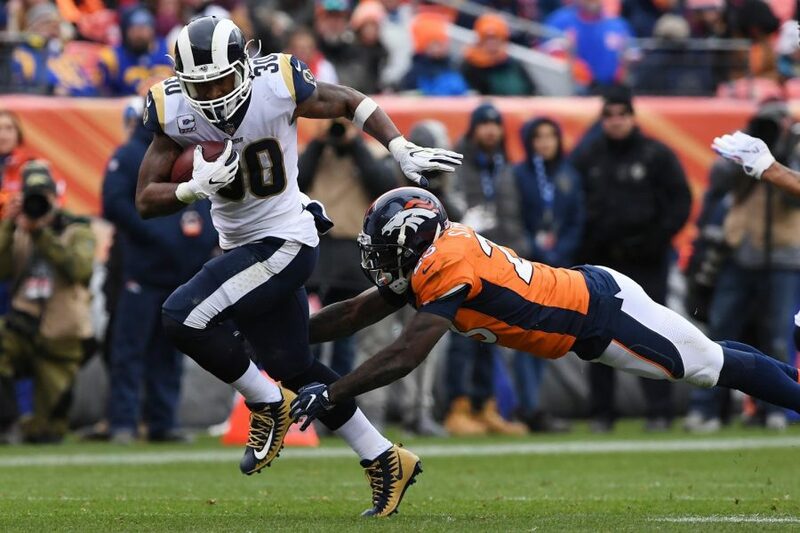 The L.A. Rams remain the only team in the NFL that is undefeated with a current 6-0 record, beating the Denver Broncos by just a field-goal in their Sunday game on the 14th (Rams – 23 Broncos – 20). The Kansas City Chiefs were competing with the Rams also being undefeated until their Week 6 game against the Patriots, losing by a field goal, the ending score being 43-40. The Rams have some superstars that should be recognized for helping the team remain undefeated. The two main players being Jared Goff, their quarterback, and Todd Gurley II, their running back. For example, in the Rams week 4 game against the Minnesota Vikings, Jared Goff was 26 for 33 on his passes with a whopping 465 yards and 5 touchdowns. But he is not the only one providing for the team. Todd Gurley II got the ball 28 times in their game against the Broncos with a crazy 208 yards and 2 touchdowns. On top of that, adding the extra touch to their winning streak, their defense has been doing very well averaging 2 sacks per game, Aaron Donald leading the defense. GCHS Eagle's Eye intends for this area to be used to foster healthy, thought-provoking discussion. Comments are expected to adhere to our standards and to be respectful and constructive. As such, we do not permit the use of profanity, foul language, personal attacks, or the use of language that might be interpreted as libelous. Comments are reviewed and must be approved by a moderator to ensure that they meet these standards. GCHS Eagle's Eye does not allow anonymous comments, and requires a valid email address, which all students have been provided. The email address will not be displayed but will be used to confirm your comments. Dual Credit Courses–See Your Guidance Counselor TODAY!